What A Problem To Have! Who Will Be On The Cardinal's Roster In The Postseason? Well, a lot has happened since I opened my big mouth last week. Carlos Martinez looked like he was in pain in his start and he was. Shoulder injury; shut down for the rest of the year. Then last night Stephen Piscotty was knocked unconscious when his head struck Peter Bourjas' knee as they both went for a deep fly ball and after he spent the night in the hospital and there is no broken bones or spinal injuries he most likely has a concussion of some kind and will be out of service for a week or more. "Stop the insanity!!!" only I'm screaming "Enough with the injuries!!!". So I now am replacing Marinez in the post-season starting lineup for pitchers with (gulp) Lance Lynn. While he throws way too many balls for my taste he is a gutty pitcher. Wacha has too many innings for me to be comfortable with him starting in the post-season; better to come off the bench as a reliever in certain spots. And if Piscotty has lingering effects from this collision and has to be held off the roster I guess he should be replaced with John Jay by default. I have grave concerns with Jay as he has no power whatsoever and I don't think I've even seen him hit a fly ball since his return. Every time I've seen him hit the ball it has been a ground ball somewhere. Too many chances for an inning ending double play with him at the plate. But, who ya gonna call on but him? Kozma? What a problem to have. Take a team's All Star Left Fielder who bats 3rd and lose him for half the year. Then take their All Star 1st Baseman and lose him for most of the year. All Star Cy Young Candidate Pitcher? Gone all year. Another front line pitcher who has been injured off and on for two years ? See ya. Trade a starting pitcher for a right fielder after your future All Star at that position dies? Tough break for sure. Center Fielder? Gone for about half the year. Do that to any other team and see what that gets you. But not the St Louis Cardinals. They lose that many players and where do they sit? Atop the entire league with the best record in baseball. It hasn't been pretty, nor has it been easy but they have survived and excelled far beyond any chance that anyone could have possibly given them if you were told this would happen in a single year. And now, they're getting healthy. Well almost. Their Hall of Fame All Star perennial Gold Glove Silver Slugger catcher is injured but if I know him, he will find a way. I mean, after he was injured he stayed in to catch seven (7!) 100 mph fastballs on a thumb that has a torn ligament. Tough, thy name is Yadi. Matt Adams, their lumbering 1st baseman who was gone until 2016? Back. Matt Holiday has had two different stints on the DL with a torn quadriceps. Back. Interim fill in for the outfield who injured an elbow Randall Grichuk, he who hit multiple home runs filling in for Holiday? Back. Former catalyst John Jay? Back. 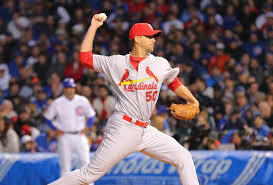 Adam Wainwright, he of the torn Achilles Tendon in April, who was told he would need almost a year to heal? Back. And ready to fill out the bull pen. So now, they have a problem. One most teams would LOVE to have: too many good players! Not everyone can make the post season roster so someone is going to have to wait their turn to experience the post season. But who? Matt Adams is their 1st Baseman we know, but Mark Reynolds has filled in acceptably. He was not brought in to be the everyday player but a spot starter. However, he has performed to a high enough level to warrant a spot in post season play. And after all, his power is enough to carry a team if need be. Then there's Brandon Moss who was brought in at the deadline. 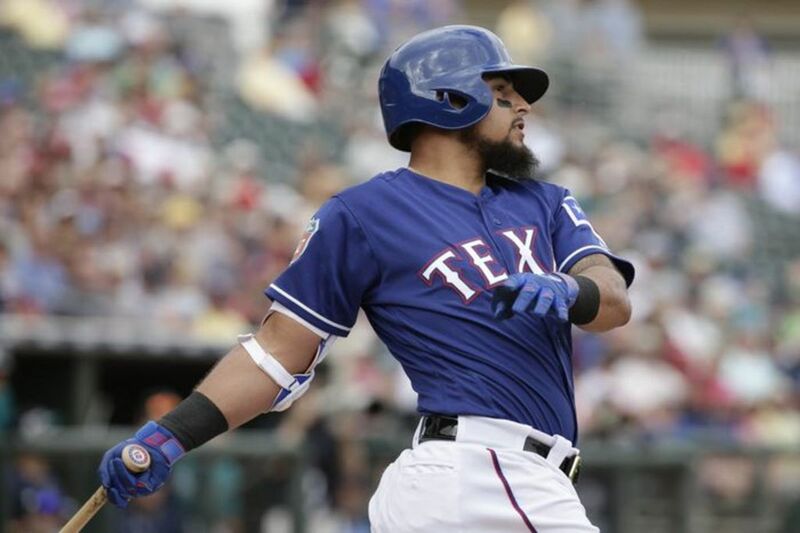 He can play 1st and outfield so is a valuable asset to have. And, he has power too. But we have also Steven Piscotty, a rookie brought up to help out. And boy, has he ever! Although he is a converted third baseman to outfield, he has played 1st as well. Hmmm. 2nd is less of a problem as Kolten Wong is a solid player. Yes, he might be going through a drought right now but the opportunity he has to showcase what he can do (like he did last postseason) and that again is enough to lift a team and win it all. We also have Matt Carpenter who is a former All Star at the position so I am good here. Everyday 3rd baseman Matt Carpenter (backup 2nd baseman) is leading the team in Home Runs and RBI's, and Runs scored so all's good here. But if need be, we have Mark Reynolds who is a third baseman and in a pinch Stephen Piscotty can man the bag. Pretty good shape I'd say. All Star Jhonny Peralta is playing a solid SS but his hitting has tailed off somewhat lately. I'm not worried though; he's a professional and when the need arises, he will be up to the task. His backup is either Pete Kozma or Greg Garcia and of the two, I like Garcia. Kozma may be a better fielder but his hitting, ugh! Plus Garcia can play 2nd base too so a win-win for me. The outfield is more of a problem as there are just too many solid players here! Jason Heyward has dibs on right field as he has one of those once in a generation arms, is a threat to hit a home run, steal a base, or throw out at home your winning run. No questions here! Left field is the home of Matt Holiday. Now if he's healthy, it's his. And it looks as though he's just about as close to healthy as he can be so there you go. But what about Piscotty? Grichuk? Moss? Only one of them can play center. Oh, wait; that's where John Jay plays, right? In later innings that is where Peter Bourjos patrols, running down triples and making them outs. So, what to do? Then you have Tommy Pham, he of the enormous power and speed that combines makes him a logical choice to play center. If you eliminate Jay and Bourjos, you're still left with Heyward, Grichuk, Pham, Piscotty, and Holiday to say nothing of Moss. Decisions, decisions. At catcher, Yadier Molina. Sorry, it's his if he's healthy. No one else is even close. So, we have to pick three out of five starters to go with. Hell, even this is hard! Do we go with Jaime Garcia who was injured early but has pitched great at 9 and 5 with a 2.45 ERA, Michael Wacha at 17 and 8 with a 3.08 ERA and 153 K's, Carlos Gonzales at 17 and 7 with a 3.01 ERA and 184 K's, Lance Lynn at 12 and 10 with a 3.16 ERA and 159 K's and is an innings eater, or John Lackey at 13 and 9 with a 2.74 ERA and 164 K's who is another innings eater? Who's going to the bullpen? What a choice to have. And speaking of that bullpen, it already has Kevin Siegrist who has a 2.23 ERA and 85 K's in 68 innings and who is 7 and 1; master ground ball specialist Seth Maness who is 4 and 2, has an ERA of 4 and has saved 3 games; lefty specialist Randy Choate; long reliever Carlos Villanueva with a 2.93 ERA and 53 K's in 58 innings; former closer's Steve Cishek and Jonathon Broxton; current closer Trevor Rosenthal; and 8th inning specialist Matt Belisle. Man, something's gotta give! So who will make the post season roster? Well for what it's worth here are my thoughts. You can't have too much solid shut down pitching and you can't have enough hitting. Speed is essential as is defense. Clear as mud, right? Yeah, me too. But anyway, below are who I think I would carry if I was Mike Matheny. Take it or leave it; agree or call me an idiot. John Jay? Sorry. Pete Kozma? Sorry. Carlos Villanueva? Sorry. Jonathon Broxton? Sorry. Steve Cishek? Sorry. Matt Belisle? Sorry. I will be honest: it is hard to believe that a team could take these players out of the mix and be better. But the Cards have that kind of a team this year. Lance Lynn to the 'pen? Sorry. Michael Wacha to the 'pen? Sorry. Somebody has to go here and although you have done a great job this year, Wacha is at an innings limit and Lynn just throws too many pitches. He can be a long reliever if need be and still keep you in a game until the bitter end. Carpenter as lead off is a no brainer: he gets on base. Grichuk batting second might be a stretch but I have a feeling about this kid: he gets the job done. Holiday batting third another no brainer. Adams fourth is another maybe stretch but he has plus power so that's where he's going. Peralta fifth is good but he could bat fourth. Heyward sixth is way down but where else ya gonna put him but second? 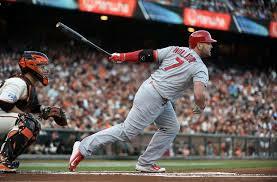 Molina can handle the bat well (when healthy) so no worries here. Wong eighth is just where he needs to be. He might slam a home run, drill a double, walk or single then you have the pitcher next to move him long for Carpenter. The primary reason I set this up this way is the left/right batter situation. Nowhere do you double up either left or right handed batters except for Grichuk and Holiday and they hit anybody. The order alternates with every batter so in late inning situations you force the opposition to change pitchers constantly from left to right and back. No rest for the wicked, right? Ideally, I would like to see the starting pitcher go 6 or 7 innings and Garcia, Martinez and Lackey have proven they have the skills to get this job done. Then, bring in Wacha for an inning, Maness for an inning and finish off with Rosenthal. If Rosey is tired, you have Siegrist. If one night Wacha pitched you can go with Waino. Choate can face those pesky lefties and Lynn is long relief or extra innings. Pinch hitters would be Piscotty first choice, then either Moss or Reynolds depending on whether a left or right hander was pitching. Pham can hit, pinch run, or play late inning defense and Boujos is that speedster you need to get the final run. Garcia can spell either middle infield spot and Cruz is there if Yadi falters. All in all, I think this looks like a World Championship team. They have faced their demons during the year, had rookies play like veterans, and have the team makeup and comradery to run the table. What do you think? L.A. Dodgers, The Best Team Money Can Buy, let's say you lost Kershaw and Gonzales for the amount of time Wainwright and Holiday has been gone. Would they be leading their division? I doubt it. San Francisco, you lose Brandon Belt, Madison Bumgardner and Buster Posey. Are you competing for a championship? Not a snowball's chance in hell. Pittsburgh, bye bye Cole, McCutcheon and Alvarez. Hello .500 season. Is there any other team that could have had these kinds of injuries to these marque players and not only survived but thrived? Contended for the division? Been in the running for a pennant? Possibly be looking at a World Series Win? Lions44 Today looks much worse than when I wrote this a few short days ago. Now with Carlos Martinez out I am a bit more worried. Time will tell for sure. olderbutnotwiser, thank you. Have a great day. Larry, I hope so too. Thank you Sir. Great read. Hope the Cards go all the way this year. 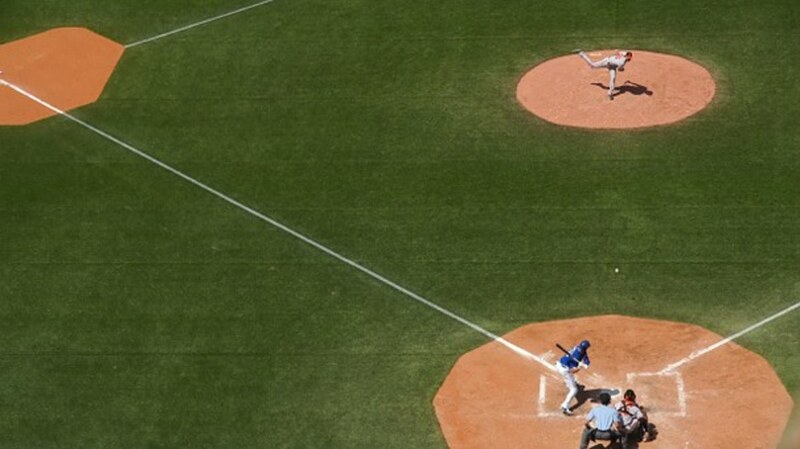 Nice analysis of one of baseball's finest teams (and franchises). 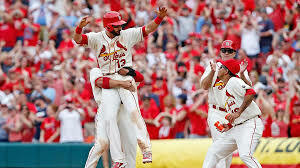 I had the Cards going to the World Series this year if Molina I not playing, I might rethink that. I still believe they are better than the Mets. Since I live here (although a Yankee fan), let me comment on Billy's team. The M's are truly the worst organization in MLB. No one even close at this point. Jack Z. was a complete waste. There's a reason it took him 30 years to get a GM job. Trade Felix for 3 pitching propects from the Cubs or Pirates (best minor league systems). Clean house. And most of all Howard Lincoln must go. Complete loser who is just cashing a paycheck. A puppet. I'll stop now. Sorry, BB. Billy, Billy, Billy: it might be time to become a Cardinal fan. You don't have to abandon Seattle but they can be your American League team while St Louis is your National League team. And we both know Seattle is on the right track. Adding Cruz this year, Cano last year are good adds. They just need a little more. Next year is only a few months away and then look out. He goes to Seattle! Say your prays Bill! Thanks and have a great one buddy. Mike, I don't want to hear about the postseason, not after my team imploded in June and July. In fact, I hope the Mariners figure out how to get the Cardinal's general manager to come to Seattle....we need someone like him because obviously he knows what the hell he's doing.